The people at Waldmania PR were kind enough to send us a free copy of this CD. All views and opinions are my own. Laurie Berkner has been one of my favorite children's music artists for at least the past ten years. She's fun, energetic, and oh so silly. 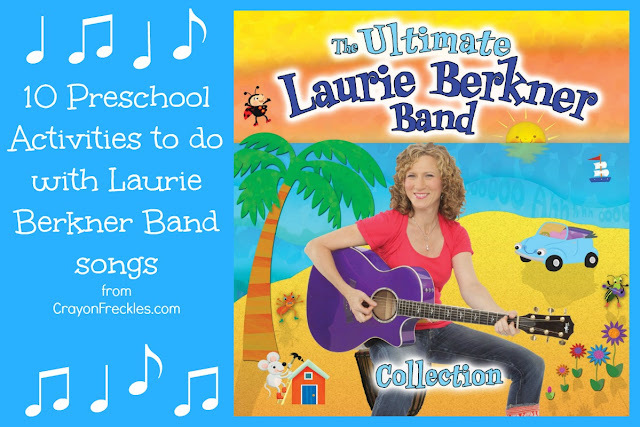 One of her most recent CDs, is the The Ultimate Laurie Berkner Band Collection . Her music speaks to the silliness of kids, often encapsulating messages that ring true to their lives. Act out the lyrics in this catchy and repetitive song. Lay a couple of blue blankets/sheets/curtains out length out lengthwise on the floor. (You can get old ones from a thrift store.) Bend and curve parts of it to give it a flowing appearance like a river. Turn on the song and encourage the children to act out the actions to the song. 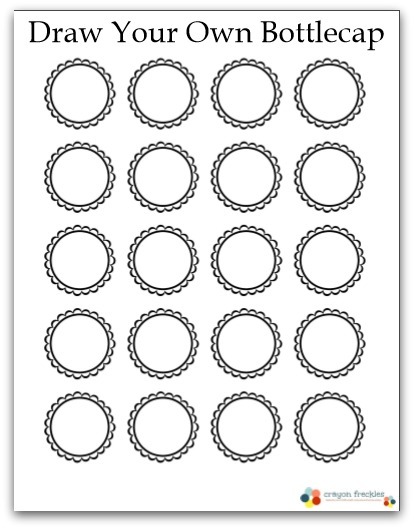 Use this bottle cap printable for kids to decorate, trade, and build their own paper bottlecap collection. Create a cardboard cat(s) that goes home with each child in the class for a weekend or during a school break. You may want to include a journal for the cat and its hosts to fill out about their experiences that weekend. The family can take a picture of the cat participating in an activity with them and email it or text it to you to share with the class and put in the journal. (Similar to a Flat Stanley) You can find some cat images that would work great for this here, here, and here. Share all the different ways we can thank people (cards, words, gifts, actions, etc). Encourage children to make list of things they are thankful for. Using shoeboxes, magazines, scrapbooking paper, fabric, and other craft materials, make a shoebox bedroom for a mouse. Use this song to introduce children to sign language by showing them the signs for the main words in the song: glasses, book, read, and look. As you sing along with the song, do the signs. Explore the scientific concept of gravity by creating ping pong ball flowers. Using sharpie markers, let the children decorate a ping pong ball so that they look like flowers. Create a ramp out of a wrapping paper tube cut in half lengthwise. Take turns watching their flower ball roll down the "hill" (ramp). Create paper dolls with full body photographs. Cut out the person in the photo and laminate to add durability. Add google eyes onto photos to make them true googleheads! This song is one of my favorites because the line "When you’re in my heart, you’re in my family" addresses the fact that family isn't limited to bloodlines. 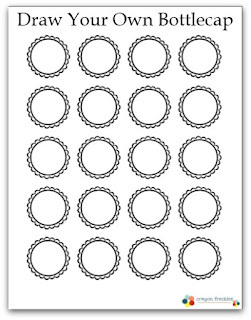 There are so many activities that could be done with this Create a family tree using photos and scrapbook paper. Use small photo albums from the dollar store to create a child-narrated family story. 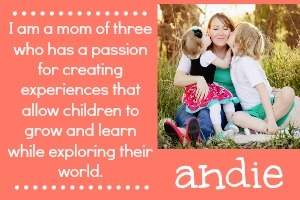 For teachers, make a classroom book that contains pictures of each child with their family. Provide cardboard boxes for kids to make their own magic boxes out of using art materials. For a special treat have a magic box drive thru where they can pick up their lunch/snack, park, and eat in their magic box while watching a movie. 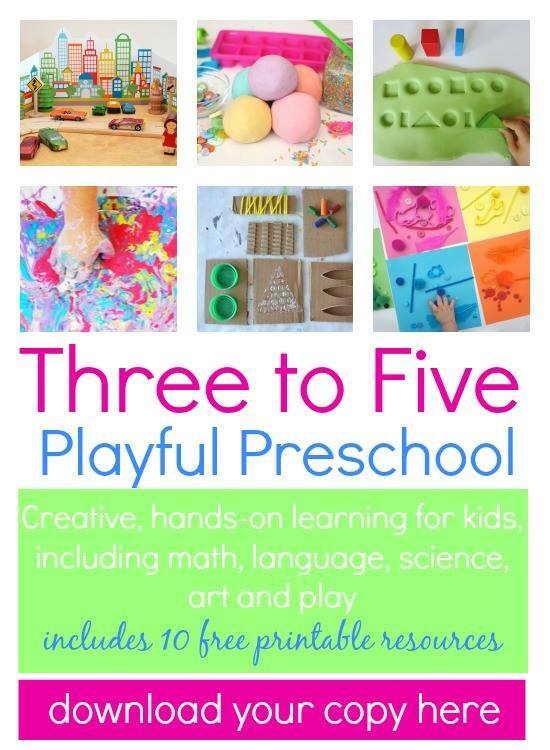 You can find more great ideas on the Laurie Berkner Band website or follow her on Facebook for lots of great activities, ideas, and more. By His hands, we are blessed. Thank you, Lord, for this daily bread. And let this food to us be blessed. Another thing that we often do is to go around the table after grace is said and share one thing that we are grateful for. It's an excellent way to tap into the little things that are important in our children's lives. It also helps me stay grounded and remember that though I may get stressed over lunches, laundry, and cleaning house, there's always something to be grateful for. 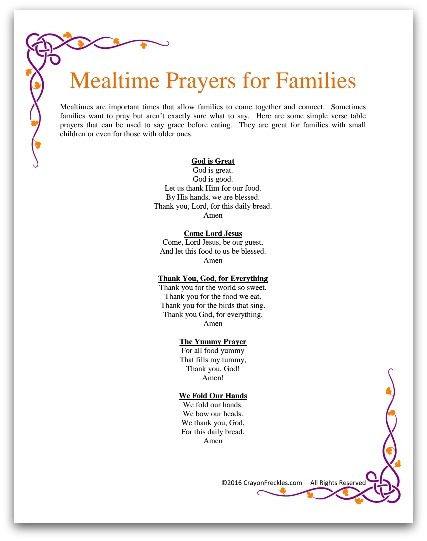 Get these prayers for your family in this free printable! 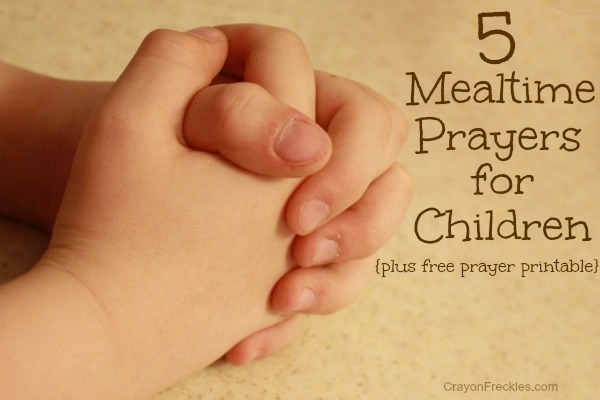 Whether your family already practices mealtime prayer, I'd love to hear how you do it. If it's something new that you're trying out, I want to encourage you to be fearless. Like any new thing, there's a bit of awkwardness those first few times...especially when it comes to publicly doing something as personal as prayer. Don't worry about saying the "right things"... God knows what's on your heart. Speak to him like you speak to your parents or a friend. 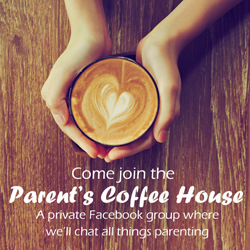 Use the prayers in this post as a prelude to your own personal prayers as a family. Prayer makes families stronger! It's not the first day of Spring, by any means, but there's something about the start of April that brings a renewed sense of purpose and refreshes my soul. Maybe because it's the month where the Midwest finally starts seeing its nice weather. Or maybe it's because my birthday falls on the first few days of the month? At any rate, I feel like the first day in April is a great restart date. So I thought I'd kick the month off, not with a prank, but with a gift for you! 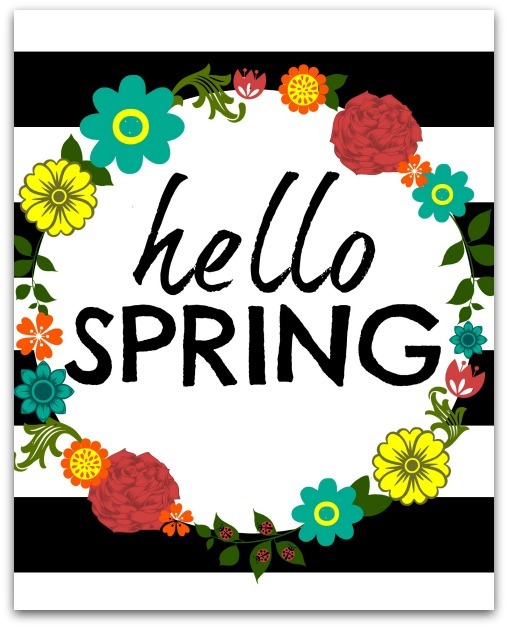 I've created this "hello Spring" printable for you. Just click here and download it for yourself. It looks great to brighten up your walls or as part of a seasonal table display.